You might not need a degree in computer science to become a software developer. Some businesses are turning to coding hobbyists and enthusiasts to fill the need for tech talent. If you want to become a developer, it turns out you might not need a background in computer science as more companies are looking to "citizen developers," says Karen Devine, vice president of marketing at QuickBase, a company that provides organizations a no-code platform for app development. "Not only do citizen developers exist, they are becoming more and more prevalent. In fact, according to our latest State of Citizen Development report, only 15 percent of citizen developers have basic coding knowledge, yet 76 percent consider app development part of their daily job tasks," says Devine. For most businesses, hiring developers without a traditional coding background might boil down to necessity rather than choice. With the growing demand for developers, there simply aren't enough graduates to fill the open requisitions across the company. The Boston Globe reports that growing tech companies are offering competitive packages to lure developers, data scientists and engineers. But for small businesses that can't compete with the fast-growing tech companies, they might have to turn internally or towards coding hobbyists to fill these vital roles in their company. "Today, 'developers' are not necessarily people who know programming languages. Instead, they are problem solvers who leverage technology to create solutions. While that can be done with code, it doesn't always have to," says Devine. If you're in another department, but have your eye on coding, a great way to break into the field with a lack of experience is to transition within your own company. Perry Smith, senior vice president of engineering at RES, a company that focuses on IT services and automation, says that he's had team members come from other departments within the organization after expressing an interest in shifting to development. "While I believe it is critical to have coding experience for a software developer position, I do see the value in looking at others -- who are passionate about the field -- to work in other areas of the 'development' world including: testers, technical writers, business analysts, graphical UX/UI designers and program or project managers," he says. And, of course, while you certainly need to fit part of the job description when you're angling for a new gig, Devine says employees that arrive from other departments can bring a new perspective. In a heavily siloed company, it can help innovation to bring in someone with a better understanding of other business units, especially when building internal applications. "For many business-focused applications, and especially to change and maintain them over time, [the same level of expertise] may not be necessary. Instead a strong background in workflow processes and business expertise could be extremely helpful in bridging the gap between IT and end users," she says. For many, coding has become a type of hobby -- something they learn on the side while working fulltime in a different or related field. 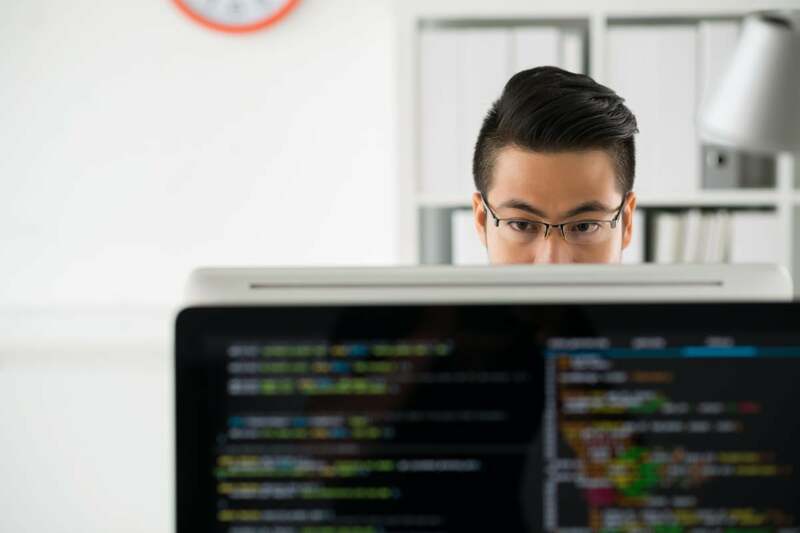 A 2016 survey from Stack Overflow found that nearly 70 percent of developers are "at least partly self-taught," and 44 percent also cite on the job training as a source of education. Of the 70 percent who said they were at least partially self-taught, 13-percent were completely self-taught. To compare, 19 percent said they learned developer skills during master's program in computer science or a related field and 8 percent cited a bachelor's program as their background. These numbers don't necessarily mean that developers are landing jobs without any degree, just that they didn't necessarily need a degree in computer science specifically. Smith says some of the best developers were once engineers -- especially those in the electrical engineering field. He says that he's employed people with degrees in psychology, biology, mechanical engineering, physics, history, nursing and music. The one thing they all had in common, he says, is that they expressed an interest in coding and developing before turning to it as a profession. "In the case of one tester who moved to development, he developed quite a lot of software (Windows and web) on his own including support for his several hobbies and clubs. In another case, a candidate arrived with a full-blown demonstration of a game he developed in his spare time, which fueled his dream of becoming a software developer professional," says Smith. While these individuals didn't necessarily have the education or experience in coding to become developers, they proved their passion and dedication to Smith through personal projects. If you think holding a degree in computer science will give you a leg up in the field in terms of salary, think again. According to the Stack Overflow survey, how you break into development doesn't necessarily reflect on your salary. In fact, participating in a mentorship was associated with having the highest salary among developers with five or more years of experience, averaging 125 percent higher pay than the average salary in the survey. Those with a master's degree in computer science averaged a 121 percent higher salary, while those who completed full-time boot camps or industry certification programs noted a 120 percent higher salary. And coming in right behind a PhD or B.S. in computer science at 118 percent and 112 percent respectively, is "learned on my own," with a 110 percent higher salary than average. "The BYOD trend as well as the consumerization of IT has made business workers much more comfortable with technology, leading many to seek out their own IT solutions and applications. As a result, we see many folks outside of IT building applications to help with their daily work -- spanning everyone from operations professionals, finance leaders and HR personnel as well as knowledge workers in the line of business," Devine says.